AirPods are a fan favorite, but what will the second generation look like? 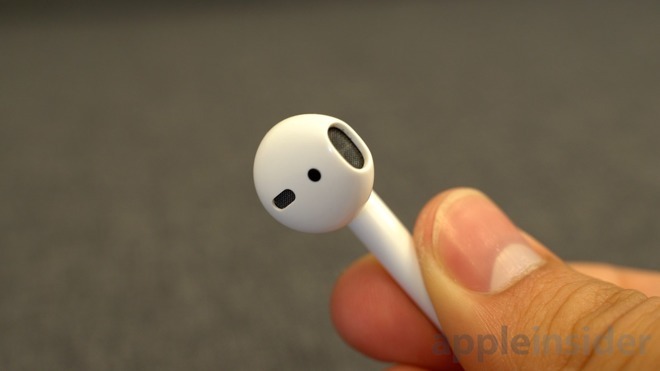 AppleInsider looks towards the future to find out what we expect to see in AirPods 2.0 and the things we would like to see. In our long-term AirPods review, we talked about how AirPods are one of Apple's great masterpieces. That doesn't mean, however, there isn't room to grow. 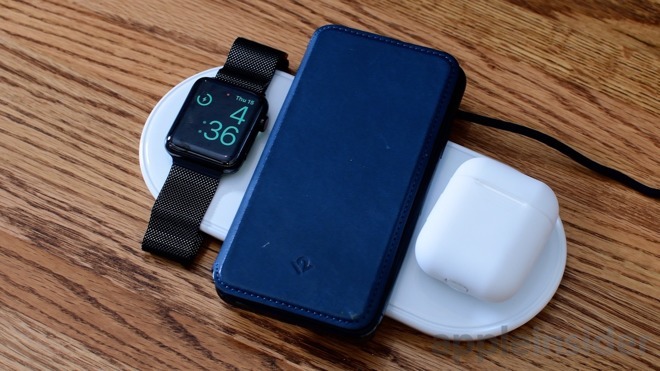 Leading our crop of expected features is an upgraded wireless charging case. Apple has confirmed this case is incoming when it was announced alongside AirPower and will be available as an optional accessory to existing AirPods owners. Our main question is whether or not we will see this upgraded case bundled with the new pairs, or left as an add-on. Count us in for the former. Also rumored for some time is baked-in support for "Hey, Siri." This would only make sense and Siri has learned quite a few new tricks this year, so this could go a long way towards making her more accessible when the AirPods are in. Within each AirPod, is Apple's custom wireless chip, the W1. This power efficient chip enables class 1 Bluetooth audio for phenomenal range and performance. Last year's Series 3 Apple Watch got the W2, so we assume that any new version of AirPods will adopt the latest chip, either the existing W2 or possibly, a yet-to-be-seen W3. This upgraded chipset should also add better connectivity, which wasn't a huge problem in the past, but there is always room for improvement. Many people opt to wear their AirPods for workouts, even though there isn't much protection against liquids. This time around there should be some semblance of water or sweat resistance. Not enough to wear in the pool, but enough to take them for a jog without worrying they will be damaged. Lastly, we expect some improvements to the ambient noise handling. A patent from last year describes the process by which AirPods could process ambient noise. Sometimes keeping it out, others letting it in. This isn't the same as noise canceling necessarily, but a step in that direction. Even without this amount of onboard processing, we hope Apple at a minimum develops a better way to keep outside audio out. When it comes to what we want to see in AirPods, we can dream a bit bigger. Apple has been known to keep color options limited, which is no wonder people go gaga at the release of a new iPhone shade. AirPods are currently limited to white, but why not a black pair? Apple has added additional colors to the Mac in recent years —including a color matched space gray set of keyboard, mouse, and trackpad. It would be great to give users a new option for AirPods. Instead of just handling ambient noise, our dream AirPods would have full-on noise cancellation. Possibly even something like the intelligent adaptive noise cancellation found in the Libratone Track+. Controls are another area that can be improved. There is a bit of on-board control at the moment using different taps on different ears, but it feels very limited. You have to make the hard choices on whether you want to invoke Siri, change the volume, play/pause, or skip tracks because not all of them can be done at the same time. Apple has nailed gestures and touch sensitivity in the past, so it would be great to see improvements in this area. Lastly, battery life. We don't particularly have complaints on battery —3 hours out of the buds in a single go is pretty solid. But Apple can push this further. There are other buds out there garnering longer usage times, so with a new W2/W3 chip and over a year to work on it, we have our fingers crossed that battery life is able to increase between charges. 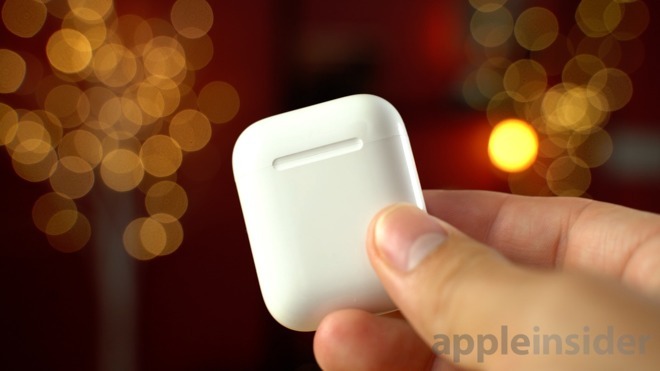 If you don't have a set of AirPods, and don't mind skipping out on some of the rumored upcoming features, you can find great deals on them by checking out the AppleInsider price guide.